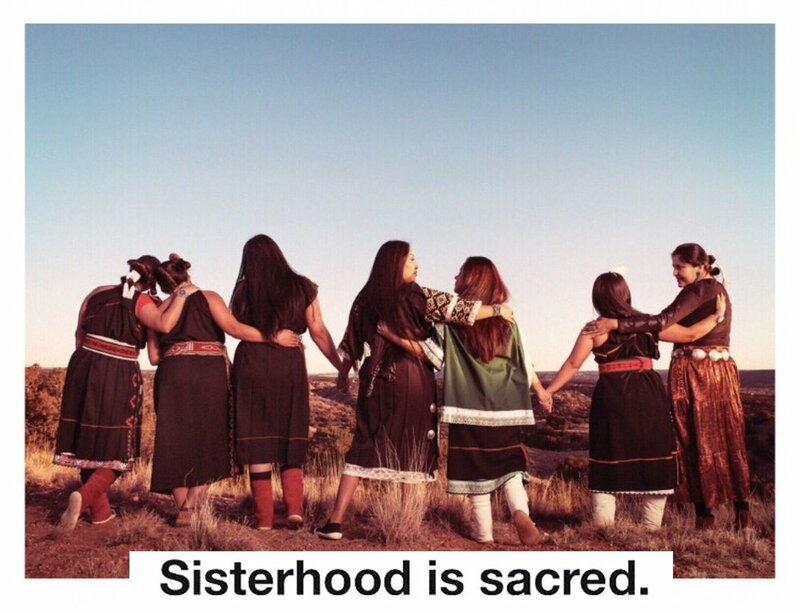 DEAR PATRIARCHY, Indigenous Women Empower the Resistance! Through event programing, music, printed material, podcasting, and interactive art, Dear Patriarchy is a platform created to provide recognition and space for Resistance Art and Action led by our Indigenous women and femme identifying communities, our Matriarchs and our humble accomplices. Together we create artistic resistance and support the protection for Mother Earth. In appreciation for the hard work and accomplishments of Indigenous women, we are showing our love and respect collectively by creating radical content, event programming and organizing tactics which challenge and counteract the dominant capitalist, oppressive patriarchal society. The Dear Patriarchy project centers women, acknowledging their work at paving the way in Indigenous art, music, resistance movements and their continued nurturing of our communities. In honoring our women, we are honoring the earth. You can’t have one without the other. "As a project which centers indigenous women, we also recognize the crucial work of our queer, trans, two-spirit and non-binary communities, and we acknowledge that we have a lot of work to do; to walk together, to fight patriarchy together and move forward together." On April 27th 2017 Dear Patriarchy held its first annual fundraising event. This evening included music, poetry, video and interactive art, raising funding and awareness for several Indigenous led resistance projects to protect Mother Earth. NO Haul Uranium, Haul No! – An indigenous collaboration focusing on protection of Indigenous communities from radioactive contamination. Michael Bowersox – A water protector facing felony charges, Michael Bowersox has been cooking with Seeds of Peace for decades, providing nourishment and community-building for social movements across the country. He has also been involved in countless direct-action campaigns for 30+ years, protecting mountain tops, roadless wilderness, sacred sites, justice and liberation for all peoples and the planet. Zapatista Liberation School – An indigenous based learning school in Chiapas, Mexico.